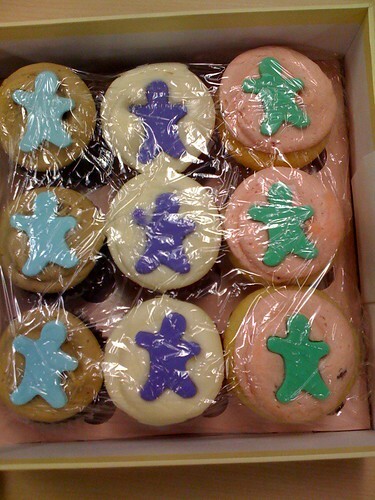 The cupcakes I ordered ($71.95 total!) 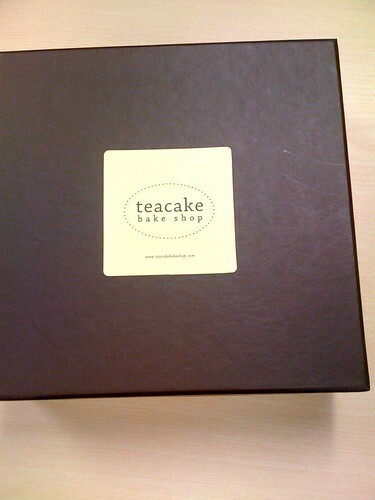 from Emeryville, CA's Teacake Bakeshop arrived, overnight (to Manhattan), looking perfectly intact. They were packed in dry ice and I'm not sure if they were just cold or frozen, but now they're refrigerated. Instructions say to remove the plastic wrap while they are still frozen, and they suggest thawing them in the microwave for a few seconds. I don't have a problem with cold cupcakes though. These ones are Children's Hospital charity cupcakes, with 50% of the proceeds going to Oakland's Children's Hospital and Research Center. I haven't tasted them yet and am off to a cupcake party so will try them tomorrow and give you a taste report! I'm excited to try them, but the day got away from me, and I don't like to ruin my enjoyment of cupcakes by eating too many right after one another but I wanted to share some information about the packaging and how they came out. And obviously, I live in New York, I have many, many places where I can purchase cupcakes. I was asked by a family friend which mail order place I recommend, and since I haven't tried them all, I'm doing so in an attempt to bring you the most accurate information possible. Although we did not get our cupcakes shipped, my sister and I just went to Teacake today and thoroughly enjoyed what we had (peanut butter chocolate cake with peanut butter buttercream was fantastically rich). My sister loved the pink velvet and the chocolate sour cream cake with dulce de leche buttercream was nice, too. Cute shop, nice staff, fresh product. We enjoyed ourselves!